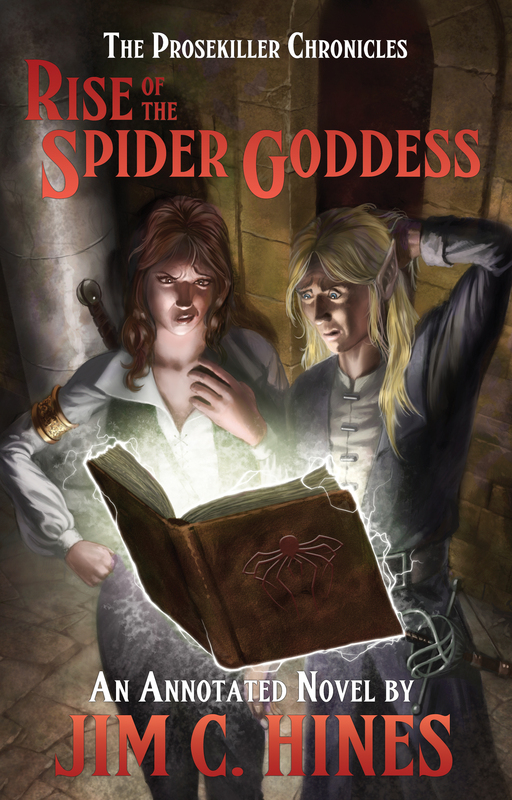 Rise of the Spider Goddess. What was Jim C. Hines thinking? 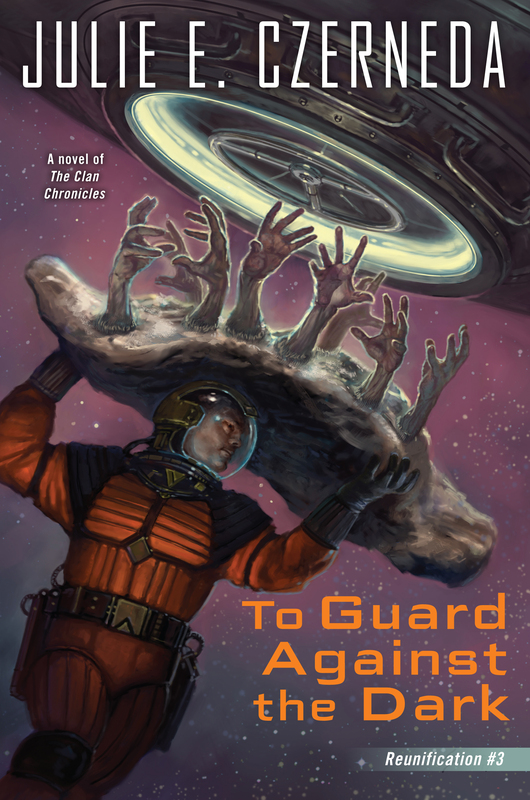 Today I’m thrilled to host Hugo Award winning author Jim C. Hines. I’ve had the pleasure to meet Jim at a number of conventions and local events, most recently at a book signing at my local independent bookstore. Jim C. Hines is most well known for his Goblin series, his Princess series, and his Magic Ex Libris series. You can learn more about Jim at his website and his blog, or by following him on twitter. You might also know him for his SFF Cover Art photoshoot project. 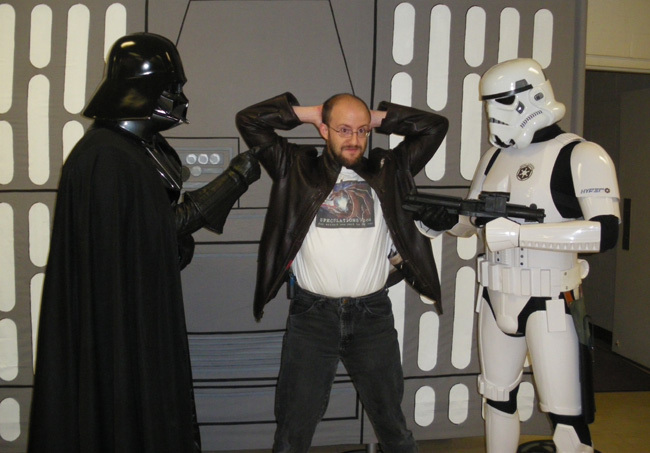 Oh no, Jim’s been captured! Oh, you don’t know Jim C. Hines? Well, first things first, go get yourself a copy of Libriomancer this instant. The third book in the Magic Ex Libris series, Unbound, comes out in January, and I am so geeked!! This Book Admits its Bad. And That’s What Makes it So Good. 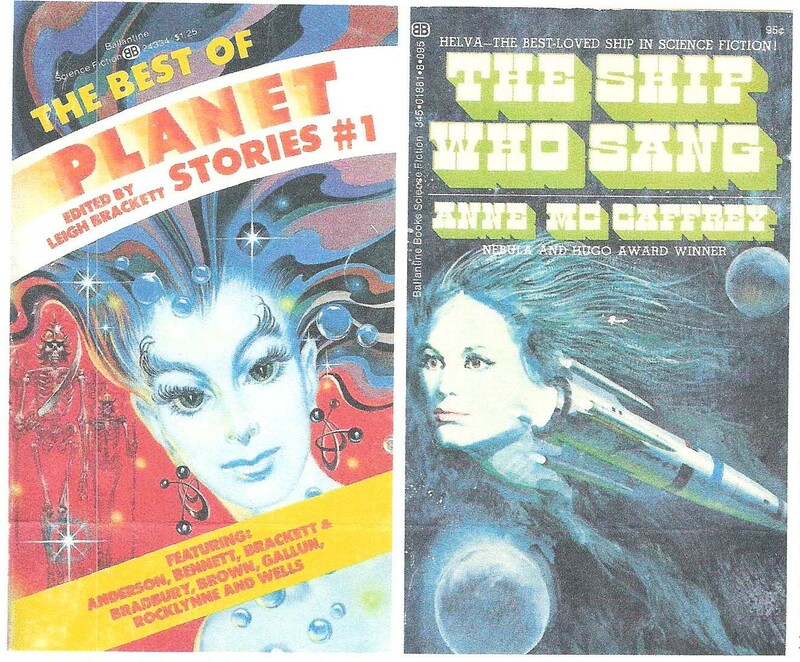 Vintage Science Fiction months owes part of it’s existence to my friend Andy. We met a few years ago through the local bookstore, and became fast friends. 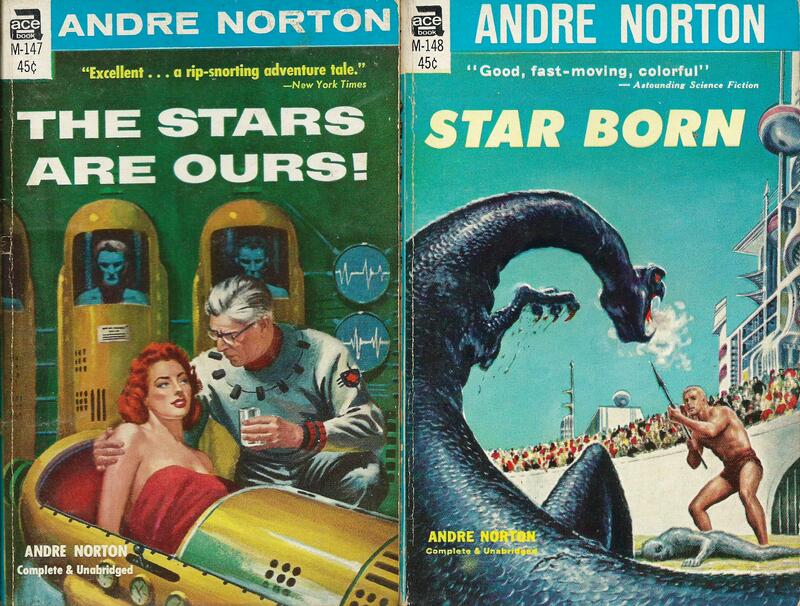 Over lunch discussions and a few beers, we traded books back and forth, me trying to get Andy on the “new weird” band wagon, and him getting me into Andre Norton and making sure our local scifi book club read the classics (See Andy? This is what happens when you don’t send me a bio. I write one for you!). Andy is also a typewriter collector, and although we live in the same city, we write letters to each other, him on his typewriter(s), and me by hand. Hand writing and typewriting a letter is a completely different experience than firing off a quick e-mail. He even typed me this guest post. See? To keep the pages loading fast, I’ve only scanned in a few typewritten paragraphs. Fortunately the trauma was short-lived and soon after I discovered the films of George Pal and Ray Harryhausen. Pal’s The Time Machine and Harryhausen’s First Men in the Moon are still great favorites in the DVD collection, much to my family’s despair. TV beckoned too and no science fictional kid growing up in the Sixties could miss Lost in Space or Star Trek as well as the proto-steampunkiness of The Wild, Wild West. Sad to say, all but the last haven’t aged well for me. The camp value of pasteboard sets, pedestrian scripts, a now-hilarious lack of actual science, and acting that is adequate at best only takes nostalgia so far. Many SF movies of the time suffer from the same defects yet command greater affection for reasons I can’t explain. 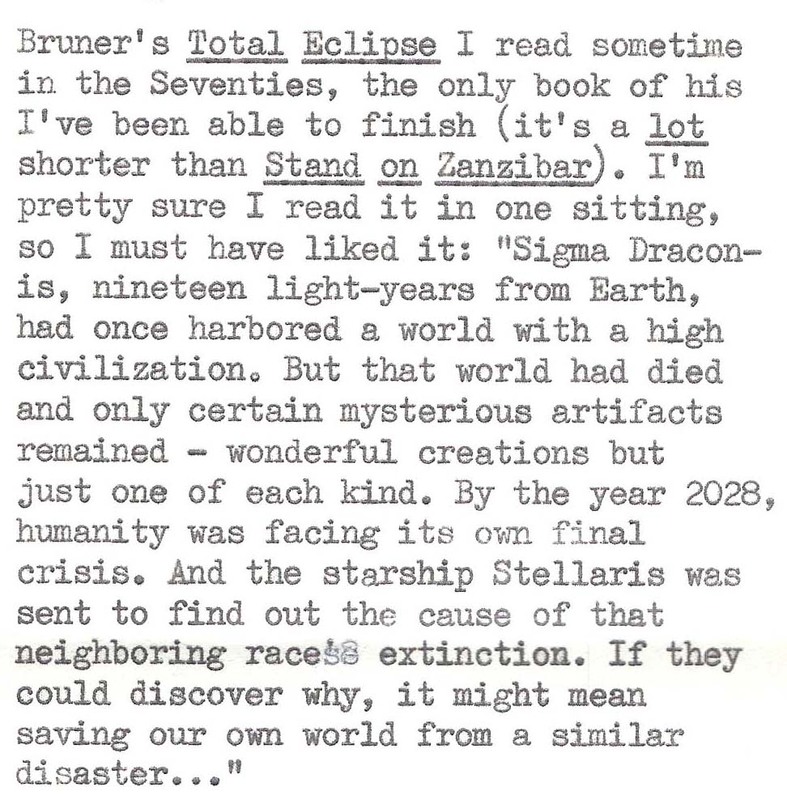 My introduction to written science fiction came more gradually. First there was the discovery of the paperback cache in the upper drawer of my parent’s bedroom dresser. My paternal grandfather, a diehard fan from SF’s “Golden Age” of the Thirties and Forties, sent them to his son but my father wanted nothing to do with the genre. 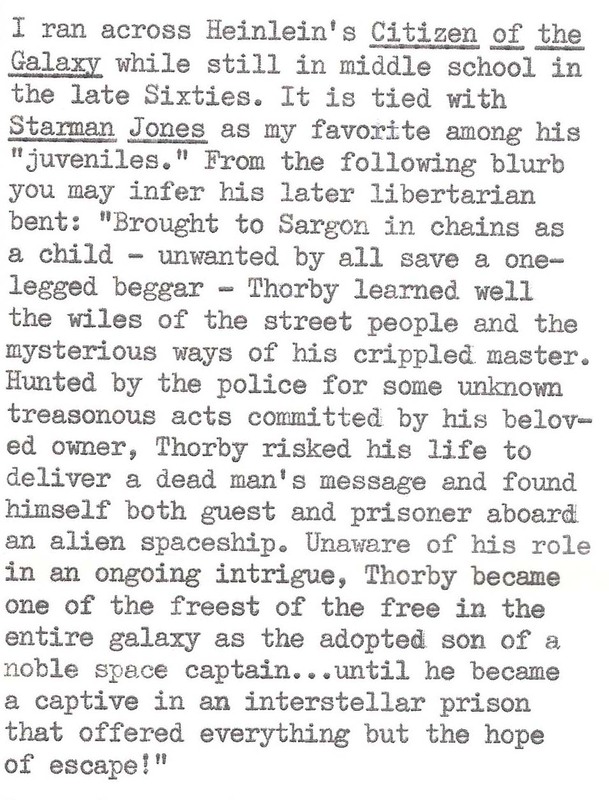 Fortunately for me, the unwanted collection included such treasures as Mark S. Geston’s now-classic Lords of the Starship. 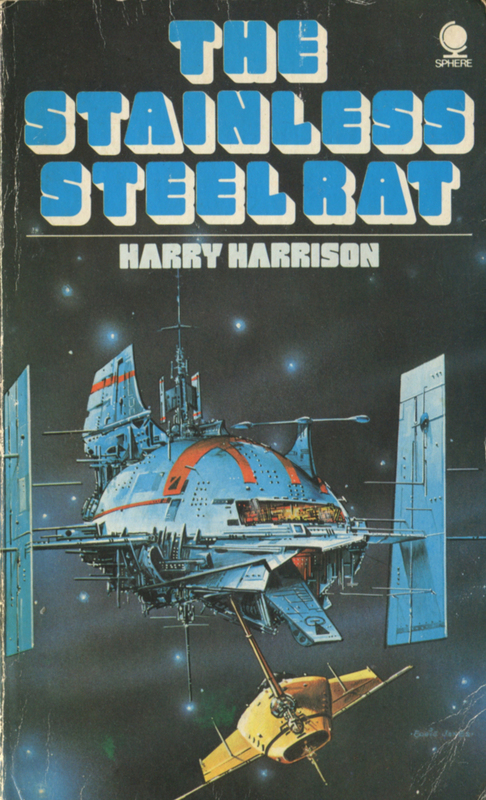 The book isn’t really about a starship and its ideas were way beyond anything I would have understood then. No matter, I was arrested by the cover image of a golden armored vehicle with a skeleton hanging out of the turret swimming through a sandy desert toward the huge, bluish, winged vehicle of the title. 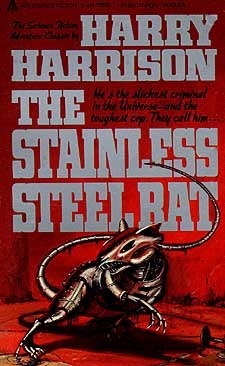 Not long after, a friend turned me on to the author who really turned me into a fan. 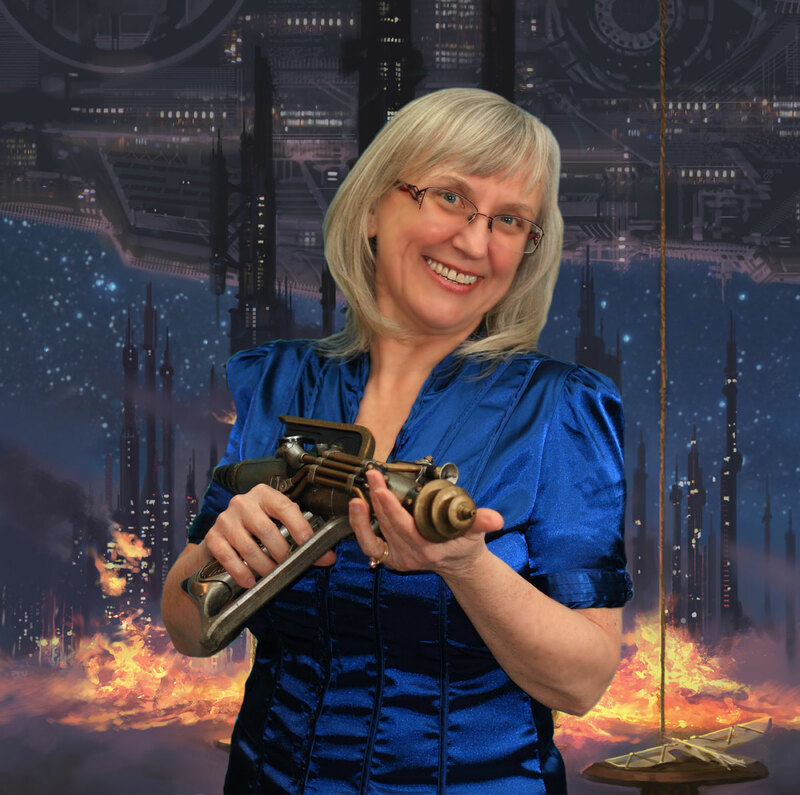 I met Rinn of Rinn Reads when she hosted Science Fiction Month back in November. What a great event! 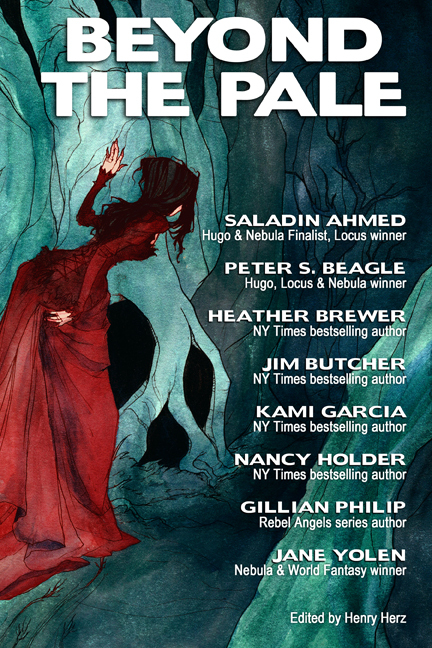 Not only because science fiction is near and dear to my heart, but because Rinn did an amazing job of getting authors and publishers involved AND getting bloggers who weren’t so sure about science fiction to pick up a few titles. People, this is what I love about the blogosphere. Someone says “hey, I’d like to do this, who wants to join me?” and suddenly a hundred people are raising their hands. And so H.G. Wells’ The War of the Worlds begins, with these immortal and haunting words. To me, it is up there with those fantastic opening lines that include Jane Austen’s Pride and Prejudice. But it’s not just the opening line that really has an impact – the entire book was, at the time, a brand new concept and something really quite shocking, and over one hundred years later it still grips and surprises: it is a timeless classic. It has been adapted time and time again, for the screen, stage and radio, and has influenced so many other authors and works, and even an entirely new genre of invasion fiction. The War of the Worlds has been interpreted in many ways. Commentary on British imperialism, or perhaps Victorian fears, Mars was a very apt planet to use either way. Mars is the Roman god of war, equivalent to Greek Ares; where better for these alien soldiers and destroyers to come from? Wells was not the first to have this idea: it was used as early as 1880 in Percy Greg’s Across the Zodiac. One of the scariest parts of the book is how the human race is completely and utterly powerless against the alien invasion – at least in in the tradition way. Weapons barely make a dent, and even taking down a tripod or two requires some sacrifices. The people watching the HMS Thunder Child fight a tripod believe that they are seeing progress, only to have the ship sink in front of their eyes. Their weapons include the Heat Ray, which burns people up instantly, the Black Smoke, a poisonous gas which chokes people to death, and the Red Weed. Were those aliens to invade today, when we’ve made so many technological advances, would we fare any better? Some people may look upon our ancestors of the nineteenth century with scorn, and have no doubt that today’s modern warfare would annihilate the Martians – and perhaps we would stand more of a chance – but it doesn’t just come down to that. Another factor to come into it is how we would react.